There is nothing more special than Mother/Daughter time and we love helping you make those memories. Mother’s Day is the perfect opportunity to spoil your mum with something you both can share. One of my most vivid memories of my Mum is the smell of her make-up bag…. perfumed sent of age-old brands like coty, almay and No 17. She didn’t wear a lot of make-up, but when she did it was an event…me standing beside her at the mirror passing her each product as it was called upon. With Mothers day just around the corner we thought we’d share how important Mothers are to us here at the studio…and help with some Mothers Day gift ideas that you can both share! 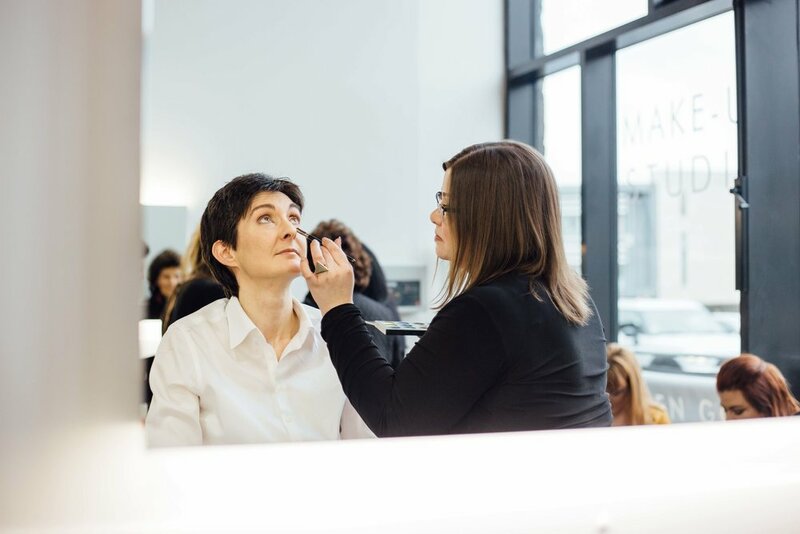 With our 2hrs Mother and Daughter Masterclass you will spend time together updating your make-up routines and skills under our expert guidance whilst catching up on some quality time together. If you both would rather just be pampered, why not let us work our magic and enjoy a Mother and Daughter Make-Up Application. GET IN TOUCH TO SECURE YOUR SPECIAL OFFER! I don’t like to wear too much make up so was a little apprehensive. Lauren made me feel amazing whilst doing my make up completely relaxing me and making sure I actually enjoyed the experience. I felt amazing the whole day and can’t thank Lauren enough. Can’t wait to get it done again. We LOVE being part of all our brides special day and we love our Mother of the Bride / Groom. You are just as important to us as the bride…after all you made that person who they are today! It is your special moment as well, but sometimes Mothers of the Brides want little fuss or don’t feel confident getting their make-up applied. As bridal specialist we take pride in putting you at ease and understanding how to make you look like the best version of yourself! And we will happily welcome you to the studio for a make-up trial and advice before the big day!!! I absolutely loved Lauren, she made me feel relaxed from the beginning and I felt so special on the day of my daughter’s wedding. She couldn’t have created a more perfect look for me. I have never had my makeup done before and don’t tend to wear a lot but Lauren took away all my worries, as soon as I spoke with her and realised how much she listened to what I wanted I was completely reassured and so pleased with my make up. I would highly recommend Lauren to anyone wanting a friendly and professional service! NEW MUMS & MUMS ON THE GO! Make-up routines sometimes need to be adapted to suit our life style and that often means quick fixes that will hide sleepless nights, hectic diaries…and generally make us feel & look more human! 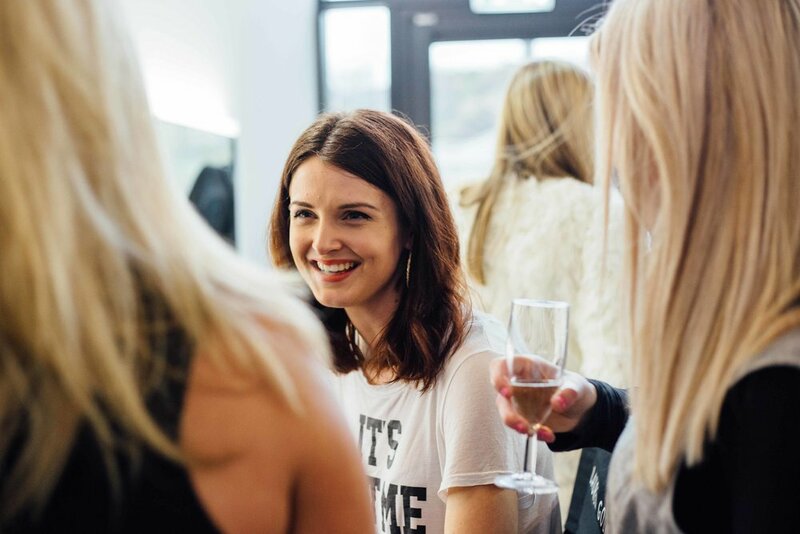 We love advising our clients, whether they are new mums or busy mums on the go, as to our tricks of the trade that can have you looking drab to fab in no time! Check out the video from our previous blog…you can look fab and get ready in 5 minutes! The full blog features essential time saving products…click here to read. Being a Mum of a teenager can present it’s challenges...trust me I know! But it's also an amazing time watching them transform into young confident adults. My two girls are beginning to discover their own beauty routine and I love being a part of that…even if it does mean my products tend to go missing!! Times have definitely changed though…teens are now exposed to make-up on an almost constant basis - particularly on their screens!! Do you feel it's too much, too soon? We often have clients who are keen to allow their daughter’s to mature and introduce make-up to their lives but also want to ensure that they don’t look like their eyebrows have underlined their forehead!! Booking an appointment here will allow us to impart advice, tips and product info that best suits your daughter ensuring she feels confident whilst retaining her independence. Why not drop some hints and take advantage of our special offers!! Spend some quality time together, update both your looks, as well as gaining brownie points for being a cool Mum!!! But just remember we shouldn't have to wait for one special day a year to put ourselves first.....we celebrate mothers and women everyday here at the studio! To all the Mums future, past and present…WE SALUTE YOU! 5 minutes, 5 products…make-up on the go! !